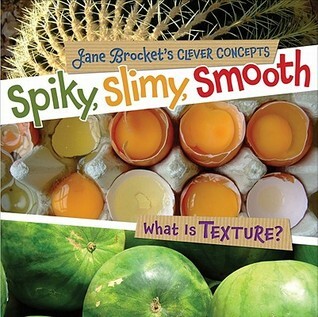 Miss Dudley's Class: Original Post 1/26/2011 Slimy, Spiky, Smooth: What is Texture? Original Post 1/26/2011 Slimy, Spiky, Smooth: What is Texture? I must say that Texture is a very hard subject to talk about sometimes, particularly with ESL/Second Language learners who have very little experience with vocabulary. Also my students also seem to have little back ground other than with simple texture vocabulary. Words like smooth, hard, and soft are easy to come up with but harder or more descriptive and juicy words are not as common (aha I used a texture word!) I loved the bright colorful pictures in this book because they chose for the most part pictures that were easy to see the textures and used mostly everyday objects. They were also close up but you could still identify with what it was. I only had 2 complaints: with the butterfly they really couldn't tell why it was powdery from the picture and when they talked about the watermelon's skin and inside they only showed the outside of an unusual looking watermelon or at least angle of the shot (round watermelon with no stripes). Some kids may not have seen the inside of a watermelon before to know that it is juicy. However with both of these you can bring in additional pictures to supplement this. Not a major distraction or problem. I also loved the vocabulary that described the textures and explain why it was that texture. Usually they gave 2 words too which was even better! Since it is very vocabulary rich I would use it as a read aloud for all levels and for individual reading on their own for possibly high 2nd grade or 3-5 grade. I sure wished I had this book when I taught summer school to ESL/Bilingual Science students! I really had a hard time coming up with a book that had great pictures as well as vocabulary. This book will be highly recommended for that as well as any grade that talks about texture in science or writing!